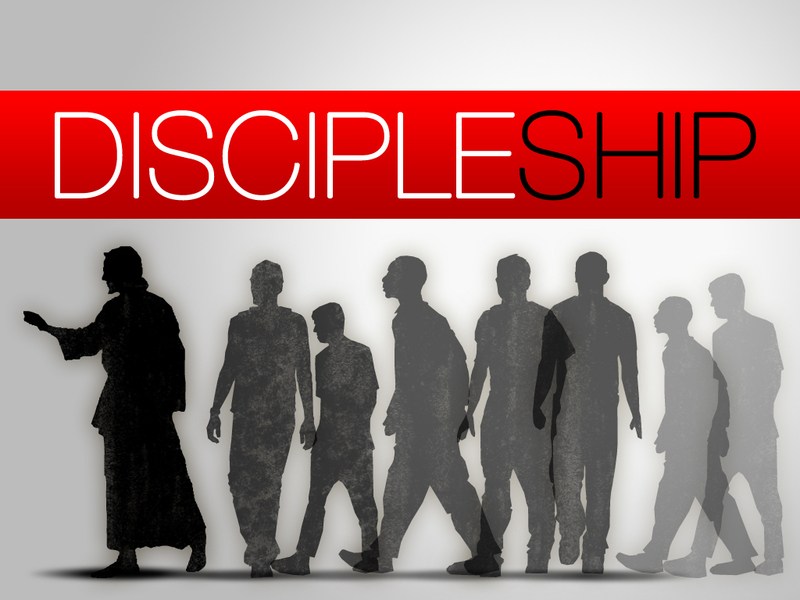 What does a healthy disciple of Christ look like? How do we fulfill the great commission? Are we called to evangelism, discipleship, or both? These are good questions that each of us should be asking ourselves. It was made clearer to me today when our Senior Pastor, Keith Treadway, preached on this topic: 7 Traits of a Healthy Disciple. I think you will find it to be a valuable resource for your Christian walk. 1. A healthy Christian disciple has a passion to know Christ (Ps. 42:1; Phil. 3:7-11). A disciple should have a lifelong desire to get to know Jesus better. This is the whole reason we exist: To glorify God and enjoy Him forever. Moreover, a healthy disciple should have a lifelong striving to become more like Jesus. Reading the Bible, prayer, and growing in our understanding of theology is good, but unless we share this information with others, we are not becoming more like Jesus because He constantly shared this good news with unbelievers! 2. A healthy Christian disciple displays authentic transformation (Rom. 12:1-2). If it looks like a duck, quacks like a duck, and walks like a duck, then it probably is a duck. Same is true for the Christian lifestyle. Someone who has been born again and regenerated by the spirit of God will produce fruit of joy, love, peace, patience, etc. You will know a true Christian from a false convert by the way they live. Genuine Christians have a desire to choose the right thing and not allow the culture, but rather the Bible, to influence their minds. 3. A healthy Christian disciple is a seeker of biblical truth (Ps. 119:9-11; John 3). We are in a spiritual battle. God calls us to put on the armor of God, to carry our sword, which is the word of God. It’s vital for us to meditate on what is good, true, and noble. It’s also imperative that we memorize Scripture. Why? Let’s say an individual asks you, “How can I get saved?” You should be familiar with particular verses: “All have sinned and fallen short of God’s glory” or “You are saved by grace through faith, it’s a free gift.” A healthy Christian is prepared to give an answer to the hope that is in them. 4. A healthy Christian disciple is a disciple-maker (Mt. 28:19-20; 2 Tim. 2:2; Dt. 6:4-9). What an important trait. When I was a swim coach, there were times when I would get in the water and show them how to do a proper flip turn or a jump start off the blocks. As Christians, we need to be coaching or discipling another individual how to live the Christian life. Jesus told us to be “fishers of men.” If you know anything about Fishermen, it doesn’t do any good for them to go to fishing conferences, buy bait at Bass Pro Shop, or talk strategies on how to fish, without ever fishing. In the same way, we need to be growing in our understanding of Christ while teaching others to do the same! 5. A healthy Christian disciple is connected, accountable, and involved in the body of Christ (Eph. 4:11-13). The local church is the nucleus for a healthy cell. It’s a necessity. Jesus said that He built the church, and not even the gates of Hell shall prevail against it. Why then, do you suppose, are there so many individuals today who aren’t involved in their local church? I think it’s a misunderstanding of what Jesus taught. People today think Jesus was an anti-religious, do-it-yourself kind of guy, when in reality, this is the opposite: Jesus went to the synagogue every Sabbath (Lk. 4:16). Yes, he spoke out against the hypocrites of His day, yes he radically transformed the law by interacting with the Gentile people, but nevertheless, Jesus was deeply connected to the body of Christ. He developed godly relationships, encouraged accountability, and exercises His spiritual gift. The best way Christians can use their talents and grow spiritually is in the confines of a local church. End of story. 6. A healthy Christian disciple has compassion for others (Isa. 1:17; Matt 9:35-38). Jesus never turned a blind eye towards the needs of others. He was always an active part of the solution. We ought to mimic his lifestyle. As Christians, it’s a pure and undefiled religion to visit the widows and orphans in distress. To have compassion for the needy and love on the unlovable. Pray that God’s holy spirit will stir in you the compassion for the lost. British missionary C.T Studd once said: “Some want to live within the sound of church or chapel bell; I want to run a rescue shop within a yard of hell.” That’s compassion! 7. A healthy Christian disciple is a generous, joyful giver to God’s work (Prov. 11:24-25; 2 Cor. 8:1-15; 2 Cor. 9:6-7). A healthy disciple of Jesus Christ will give their time, talents, and treasures back to God. They will understand the verse that says, “Do not store up your treasures on Earth, where moth and rust can destroy it, but store up your treasures in Heaven.” When we invest in people and eternity, there will always be a return. Jesus said that His Word will never return void. If we invest in the stock market or in earthly treasures, there is no guarantee. Many people lost half of their savings during the stock market crash of 2008. We are only certain of one thing: No one can separate us from the love that is in Christ Jesus. Invest in that!